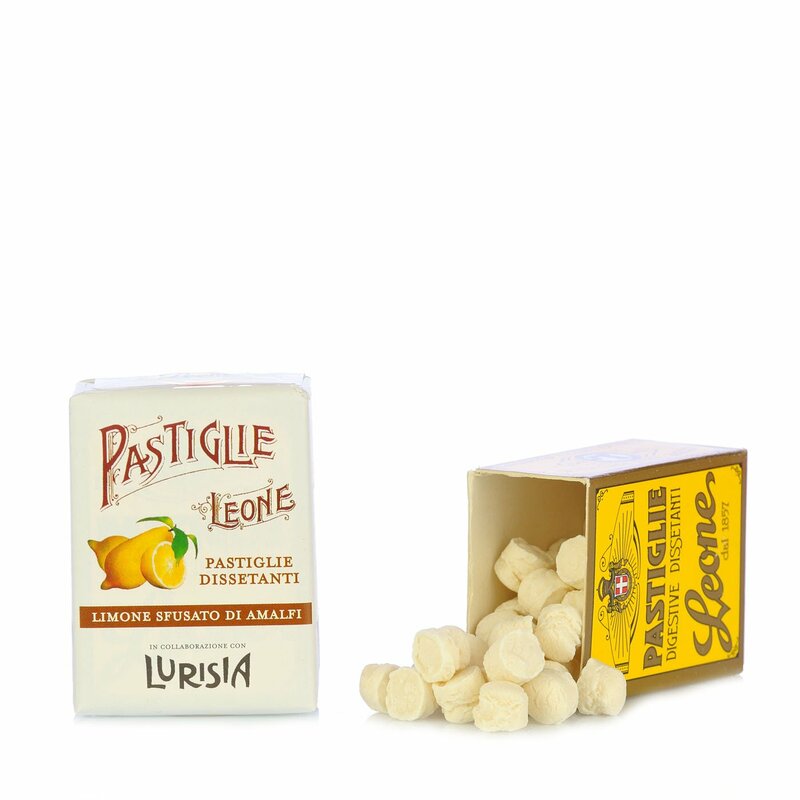 Pastiglie Leone pastilles are extremely popular and come from a very long tradition of confectionery art. Simple sugar pastilles with natural fruit, flowers and herbs. The Refreshing and fragrant Amalfi Sfusato Lemon version derive from the meeting between Leone's experience and the exceptional flavour of Lurisia products. The practical pack allows you to take them with you to enjoy these delicious pastilles at any time of the day. Ingredients Sugar. Thickening agents: gum arabic, tragacanth. Amalfi lemon tincture, essential lemon oil. Acidifier: tartaric acid. For more information on product labels, please contact our Customer Service department. The information on the labels of the products may vary for reasons beyond our control, therefore, there may be discrepancies between the information on the site and that on the products delivered. Please always check the information on the product before consumption or use. Still to this day in Piedmont a kind and popular person may be described as 'Marca Leun' in reference to the famous lion brand: Pastiglie Leone is something of an institution, with a history dating back more than a century and a half since the company was founded in 1857 in Turin under the rule of the House of Savoy. The historic recipes are reproduced with dedication and absolute fidelity. Natural and selected ingredients, herbal extracts and fine essential oils provide a guarantee of an attention to quality that has accompanied the firm throughout its history and is still rigorously pursued to this day.